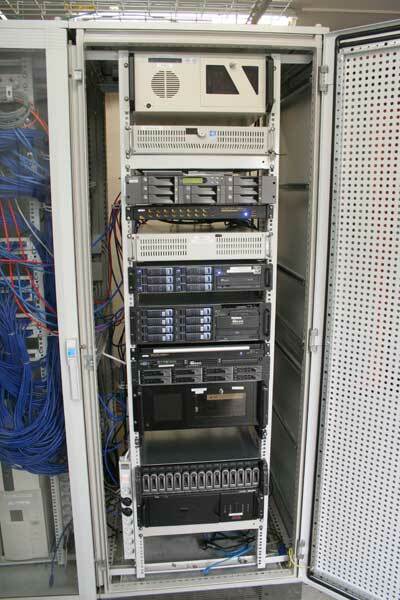 Do you remember when I wrote about the brand-new Promise M500i iSCSI appliance? Yeah. They delivered it four days ago. And we’re nearly there getting it to work…but as usual: first things first! We reconfigured the device for RAID5 and started again…but after another day the same things happened: restart after restart…In fact there never was an error of any kind – neither in the logs nor in the activities display. We even figured out another (maybe) bug of our M500i: When we unplugged it completely from the power the device forgot some of it’s settings (like the network configuration…). And the more serious bug: When I try to set the Management Network Interface to DHCP the whole administration consoles lock up completely. That means: no serial console or web interface until we rebooted the device (that behavior is reproducible). Copyright 2005, Promise Technology, Inc. Source 2: solving data storage problems: How long can 3.5 Terabyte last? The photo says it all, but you must take in consideration the space that such an item will occupy. It will take a lot of space from your establishment and maybe you should make a special room just for it.